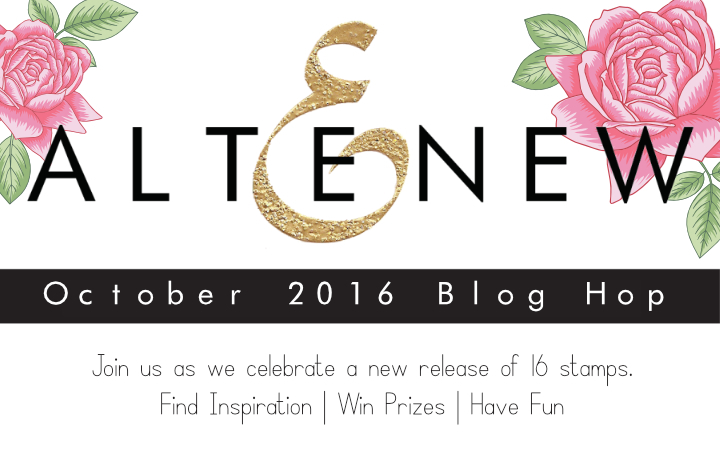 Hello and welcome to Altenew October 2016 release blog hop! You probably came from incredible talented May Park . If not – you may consider starting from the beginning at Altenew blog and see what other members of Altenew’s design team and guest designers have come up with (and also you have a chance to win a prize on each hop stop). I have four cards for you today made using new stamp sets. For the first card I used Simple Flowers set. This is a great floral set which of course can be used to create flowers. But on this point I’m fully converted into fall and holiday cardmaking, so made a autumn card using this set. I stamped several circles using Altenew Caramel Toffee, Warm Sunshine, Dark Chocolate and Velvet inks onto Classic Crest Solar White paper. I think these circles look like whimsical tree foliage. Next I hand cut them using my scissors and adhered to a Peanut Fudge card base, three of them were adhered flat and one was added some dimension using adhesive foam squares. Finally I die-cut thanks word from Gold Coins cardstock using Thanks die, adhered to the card base followed by adding several sequins and gems. The next card is made using another floral set – Floral Frame. And again I used it in not very traditional way – to make a holiday card. First, on a kraft card base I stamped kind of wreath background using foliage stamps from this set stamping them in white ink. 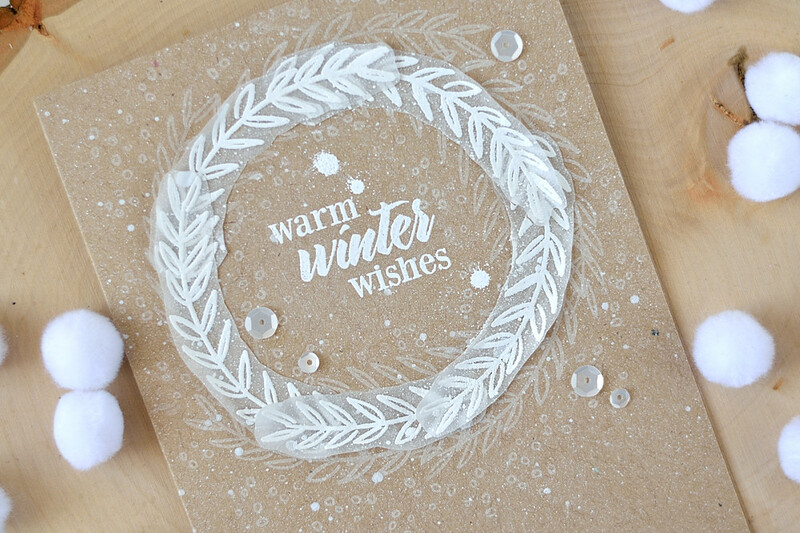 Next I white embossed one stamp on vellum several times, hand cut with my scissors and adhered to the card base forming a wreath. I stamped tiny circle clusters all over the wreath. Sprayed the card base with Picket Fence Distress spray and white embossed a sentiment from Modern Deer set in the middle of the wreath. Several marshmallow sequins finished my card. The third one is probably my favorite from this four. Made using new Space Travel set. Altenew did it again. We had an amazing moon, then recently an amazingly realistic Earth was released. And now we have the whole Solar System. For those who likes Space theme Altenew is the place to go 🙂 And of course I couldn’t resist playing with this set. First I stamped all planets and Sun on Tim Holtz watercolor panel using Distress inks of different colors. After stamping each planet was covered with rubber cement, which masked the stamped image from overlapping stamping. After all planets and Sun were stamped and covered with rubber cement I started making the background, using a bunch of Distress Inks and wrinkle-free technique. I was pressing Distress ink pads onto my glass mat, adding some water and swiping my watercolor panel through these puddles of diluted inks. I repeated the process several times until was happy with the result. Then I sprayed it with water using Tim Holtz Distress Sprayer, dried it with heat tool and sprayed with Picket Fence Distress spray. I removed rubber cement from all elements and colored the planets and Sun using Distress inks. Next I stamped each element name next to it using white ink and white embossed the sentiment from To The Moon stamp set. I also added some white embossing droplets here and there to make some droplets a bit different then ones made with white spray. Finally I adhered my panel to a card base. The final card for today is made using Sketchy Evergreen stamp set. The tree was made using multi color layering stamping technique. I filmed a video showing how I made this card. But didn’t have time to edit it and put a voice over. Will try to deliver it as soon as possible. To made this tree first I clear embossed the top layer of it. Next I stamped the middle layer using Crimson ink. I clear embossed over this layer as well. Finally I stamped the bottom layer using Evergreen ink. All embossing was then removed by ironing it off and the tree was fussy cut with scissors. I cut a couple pieces of Altenew wood paper (Cherry and Birch) and adhered them to a white card base, twisting a bit one along another. Next I adhered a white card panel, with the stamped sentiment on it. The tree was adhered using foam squares and several sequins finished the card. To celebrate this release, Altenew will draw three winners who will each receive a $50 gift certificate to their online store. Please leave a comment on the Altenew blog by Wednesday, October 19th 23:59pm EST for a chance to win. The winners will be announced on Thursday, October 20th. I will also randomly choose a winner from comments left on this post and the prize will be $30 gift certificate to Altenew online store. Please leave a comment on this post by Wednesday, October 19th 23:59pm EST for a chance to win. I will announce the winner here in this post on Thursday, October 20th. The winner of $30 Gift Certificate is Gail Plaskiewicz. Congratulations! The next stop in the blog hop will be Amy Gray. If you got lost, please go back to Altenew Blog. 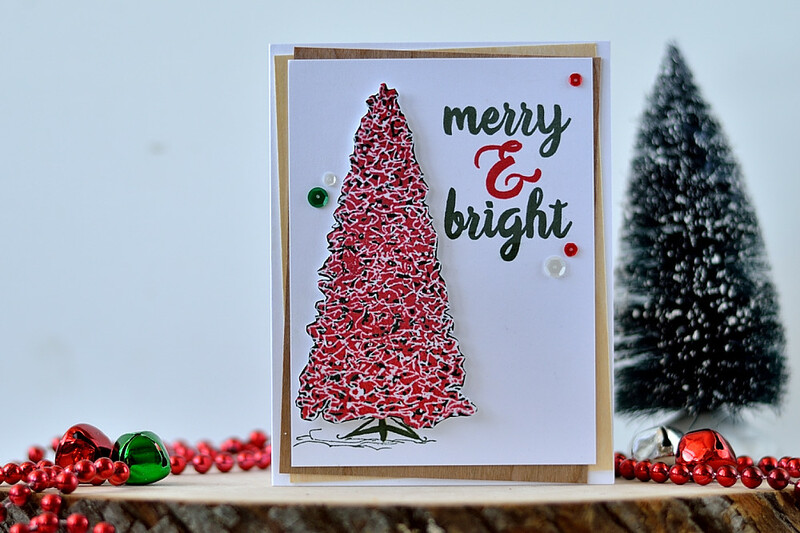 I love your use of color with the Sketched Evergreen set. Thank you for the inspiration! I love that Simple Flowers stamp and it’s great to see it re-purposed to make trees! What a brilliant idea. Great alternate use of the Floral Frame set also. Your Out of This World card is fabulous! Your Warm Winter Wishes is really cute!! My fav! 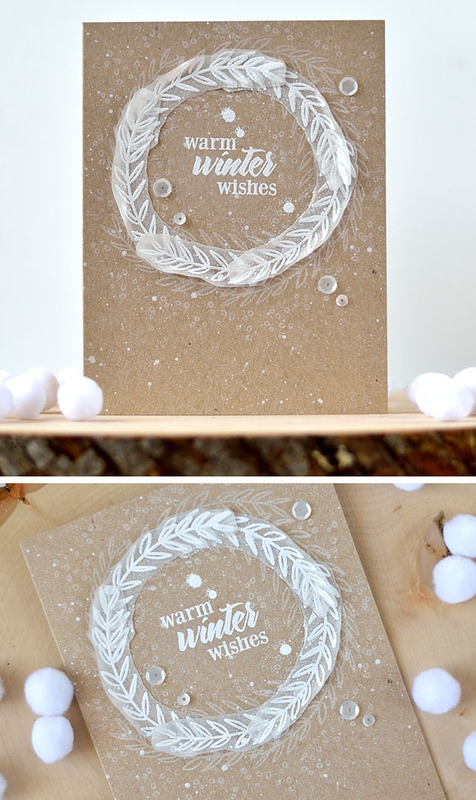 Your warm winter wishes card is so pretty! Thanks for sharing. What wonderful ideas with these lovely stamp sets. I think I need to research your techniques . Beautiful cards, but I think my favorite is the planets! Wonderful cards – I especially love the one with the trees made from the Simple Flowers set. The planets card is AMAZING!!!!! You are very right those Simple Flowers Stamps look like whimsical trees! I would not figure that by myself! Thank you for sharing! 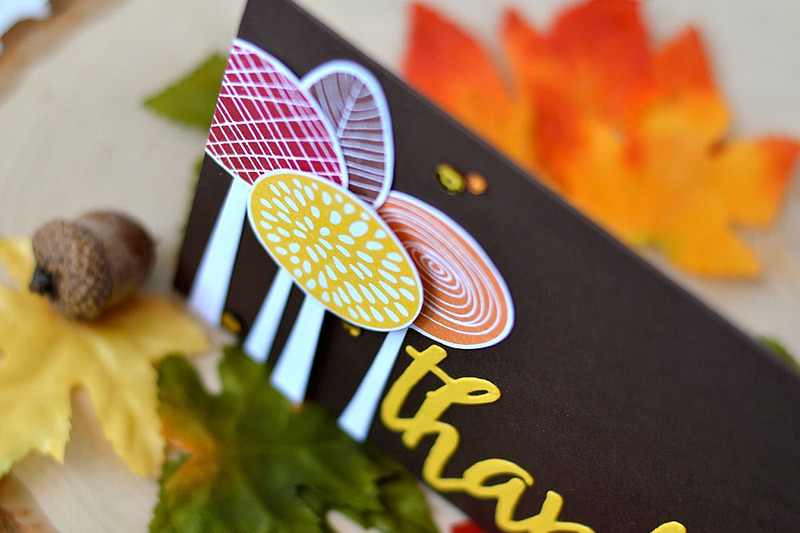 Love your cards and the colors on your fall card. Love the Sketched Evergreen card. Your ‘out of this world’ card is out of this world and I love the versatility of the Simple Flower set. Trees. Who knew. Your Out of this World card is so unique! It makes me happy just looking at it. What a great card for a guy. I also really like your idea of flower trees. Very clever. Thanks for sharing. Gorgeous collection of the cards, so bright and colorful, love them all. Striking color combinations for each of these cards! Very unique cards. Love the new release. Took me a few tries to get to your site, but I am sure glad I finally made it. Your Christmas tree is gorgeous and such a unique way of colouring it. Thanks so much for the great inspiration. I love the different takes you have used for the stamps to create your wonderful cards. 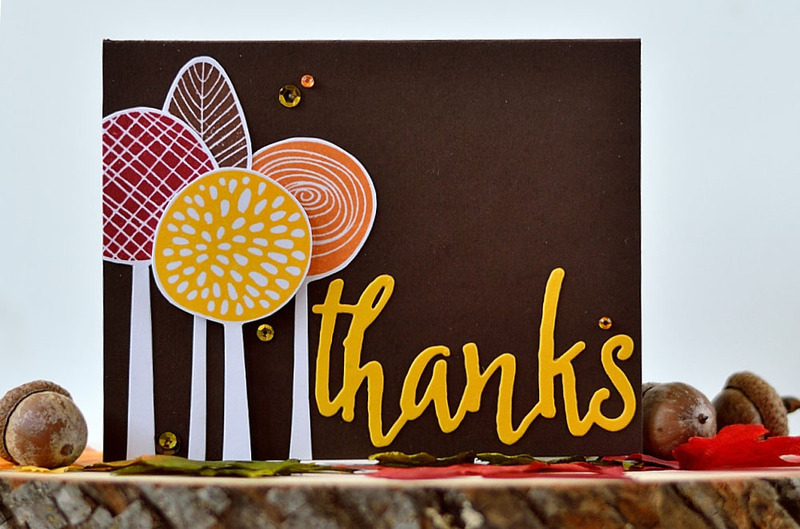 All your cards are amazing and I really love your imaginative use of the the Simple Flowers set to create the autumn trees. That is probably my favorite card of the ones you created. Wow!…. for all of them. Great release. I love the simplicity of the Christmas Tree. It’s clean and modern, that’s how I like to make cards. Beautiful artwork but your Out of this World is awesome big time!! Great cards, but the Out of this World is fabulous – so bright and warm – I can feel the sun’s rays. Great looking cards. Love your planet card! Love all of your cards but I gotta have that Simple Flowers set…SOOOOO AWESOME!!! 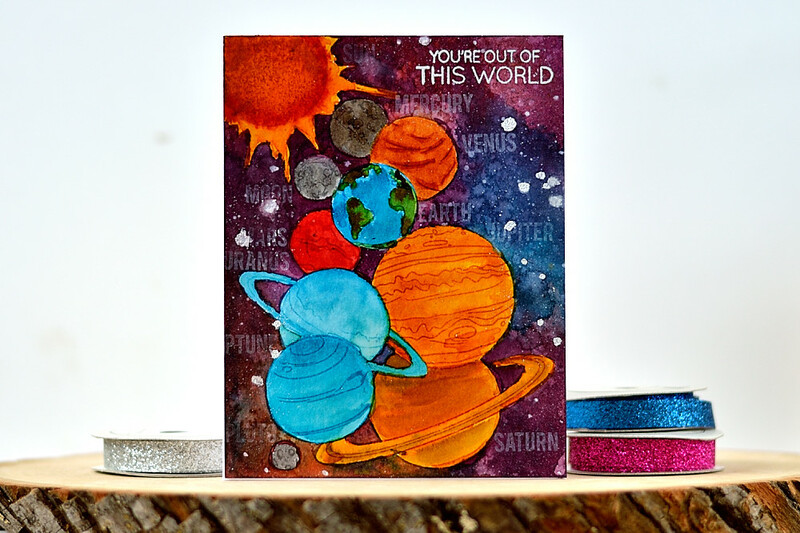 I also love your BOLD colors especially on the Outta this World Card…loving this release!!! Beautiful cards! I especially love the white vellum wreath on the kraft! Stunning! Loving all the inspiration. The layered Christmas tree card is lovely. I love your use of the velum! I can’t wait to get my stamps and try your ideas! Wow , beautiful cards !!! Your creativity is boundless! Love the tree card, the wreath, the space scene and the tree is beautifully stamped! Oh Svitlana…LOVE your space travel card!!! Wonderful cards! I especially love the colors in the “Thanks” card. These are all wonderful, but that one with the planets is absolutely amazing! Thanks for sharing them with us. I like them all really well, but especially the “Thanks” card. I liked the variety of styles on the cards! Such talent! Lover your Out of This World card, fabulous! Love your card designs! But especially love the solar system one and the Sketched Evergreen one. If I happen to win a gift certificate I’m pretty sure the Sketched Evergreen will be the first stamp set I have to have! Holy smokes, all your cards are gorgeous but your card with all the planets absolutely stunning! Briiliant design and very creative design elements, not to speak of the colors. Its an 11on the scale of 1-10!! Love your brilliant cards, Svitlana! Great job showcasing new products that I’d love to own. You made some amazing cards and you did something different from the others on the hop. I like people who think out of the box and that’s what you did. The Thanks card uses yellow and that’s my favorite color. I really love that stamp and what you did with them. That’s one that I want when I win. I love the one with the planets and how colorful it is. The coloring really looks like the sky at night. The last card with that amazing tree is the other stamp set I want. I could do so much with that tree! You sure did! Thanks for letting us see your beautiful cards! What a great variety of fantastic cards! I forgot to mention The Warm Winter Wishes one. It’s so pretty and reminds me of winter. Lucky for us we aren’t having any signs of winter yet. Next week we might have one day in the 80’s! Awesome collection of cards! The planet card is my favorite! Your tree is so pretty. The wreath is so beautiful, I love vellum. Your solar system card is so interesting and creative! I love, love, love how you made the cards pop with these beautiful bright colors! I love your winter card! So delicate. All your cards are great. Hands down my favorite is the one you used the simple flowers stamp set on. All your designs are so wonderful and show how versatile these stamps really are, thanks yet again for the fabulous inspiration! Love the variety of cards. The vellum wreath looks especially cool. The planets card is so vibrant. I love the CAS Christmas tree card as well. Great job! These are all so fantastic!! I especially love how you used the Simple Flowers and the beautiful white wreath. Stunning! I love the colors you used on the evergreen set. It looks so modern. Wow awesome cards! Especially love the space one! I love how you used Simple Flowers! The more I see of that set, the more I think I’m going to need to order it! Thanks you for the great design ideas. Great card ideas, thanks for sharing them. Svitlana your creations are ALL gorgeous … but I keep going back to those darling trees you’ve created with May’s Simple Flowers! LOve it from the gorgeous chocolate card base to the sunny, bright thanks… Thanks! I’m especially INSPIRED by your BOLD & BEAUTIFUL card using the Simple Flowers and the ELEGANT wreath with the vellum and Floral Frame!!! LOve all of your cards. The card with all the planets on it is just ~out of this world wonderful~ I also love the bright red Christmas tree card! thanks for sharing and thanks for a chance to win! Really glad to see someone use the space travel set. All your cards are pretty and I enjoyed seeing your creative ideas with the products from the release. The planet card is spectacular! You used the stamps in different creative ways! Amazing cards Svitlana. Especially love your card with the planets. Wow! I mean it’s fantastic. So creative and colorful! 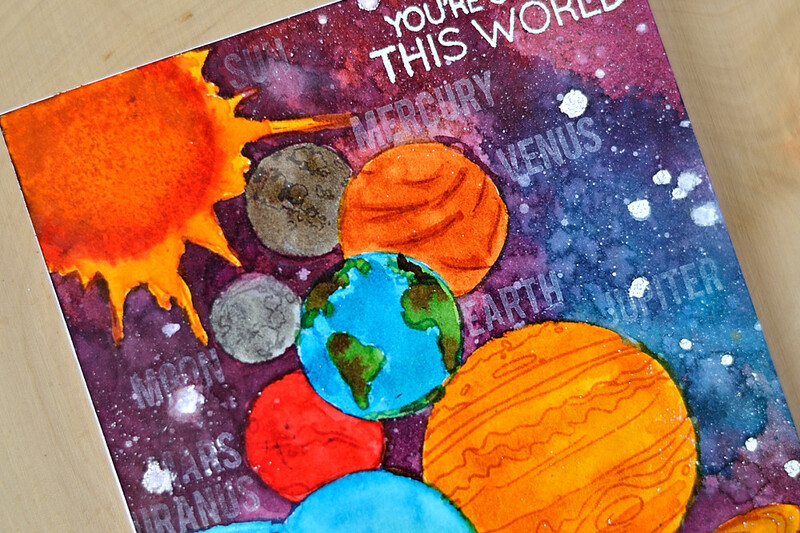 My favorite is the “You’re Out if This World.” That stamp set would be perfect for a child interested in science birthday card..colors were as intense as a love of space travel. Fantastic array of cards, the tree card is especially gorgeous!!! The out of this world card is stunning! All are beautiful and very creative. Thanks for the offer. Awesome array of cards, Svitlana! Each card is so beautiful in its own way. My favorite is the one with the Simple Flowers set. Looks really modern & elegant. These are all absolutely amazing, you made my wish list grow! I love your cards. The galaxy stamps are so unique! Such bold use of color….love it! Oh my! Beautiful cards all, but the one with the vellum wreath is just amazing! Your Autumn card is my favorite on the hop! I love the boldness of it! It has convinced me that the Simple Flowers is a stamp set well worth having! The simple flower thank you card and the tree are my favorites! Such wonderful cards! Great Altenew Stamp sets! I love the solar system card…amazing! Love the colors on the Space Travel set. So bold! What a lovely selection of cards. Absolutely GORGEOUS! Love th array of your cards and creativity! Wow–all of these cards are fabulous! Beautiful cards, looks like your using the new planets set that I saw in Crafty Chat, can’t wait for that one. Love how you created the wreath on the kraft. seriously love love love that planet card!!!! Wow…your planet card is ‘out of this world’… Amazing!. I love all of the bright colors you used. 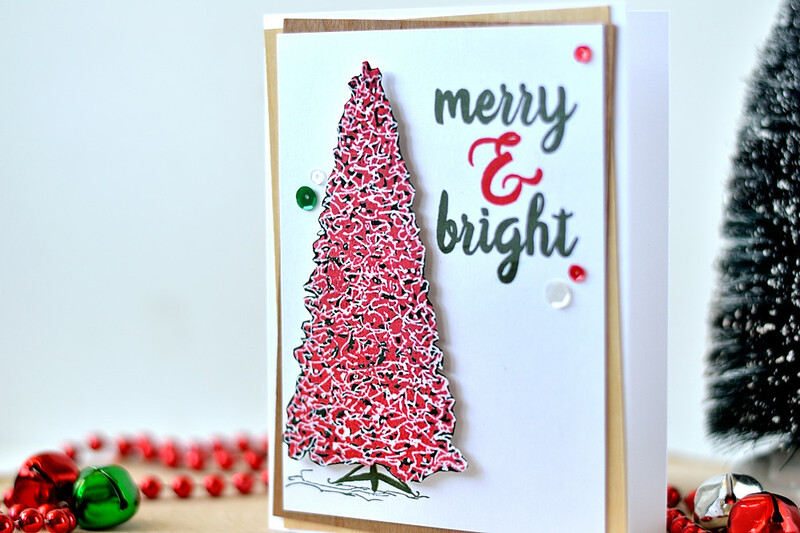 Simple Flowers has stolen my heart but your Christmas tree is superb; I just love that card. Such cute cards! I especially love the Simple Flowers and the Christmas tree. Can’t wait for my Simple Flowers set to arrive! Thanks for the inspiration. I love all of these cards, I especially like the Simple Flowers and Christmas Tree cards. I love your take on all of these stamps, especially the Simple Flowers recast as trees! Such great inspiration! Thanks! Truly fabulous cards. Very nice. Great cards. I especially like your use of the flowers as tree tops! Fabulous! Love your bright colors and cards! your white wreath with the kraft and vellum is so pretty!! Great cards! I especially like the trees Thank You one. Thanks for sharing! That space set is on my list! I love all your cards. My favs are the whimsical trees made from the Simple Flowers set and(so innovative ) and the solar system card from the Space travel set – it is fab ! Four very lovely cards! I really like how everyone has used the Simple Flowers set differently showing its versatility. Love the gorgeous colours you used. Your Out of this World card is stunning! Fabulous cards! I really love the whimsical trees and the sweet wreath! Lovely details on your beautiful cards! I love all your cards but I think my most favorite card is your planet card!! Great cards but I really like the Out of this World. Wonderful cards! I really love the fall card and those great fall colors, and that solar system card looks amazing! One amazing card after another! Your Out of this World card particularly wowed me. Они все потрясающие! Ты снова сделала много нереальной красоты! Мой фаворит конечно веночек – это так нежно! А с планетами – я даже не представляю, сколько там работы проделано! Wow!! All of your cards are awesome!! But my favorite is the one with the planets!! Looks so fun to make!! Fantastic cards. The more I see the simple flowers the more I’m liking this sets versatility. However I have to say my favourite is space travel – I love the space theme and your card is such great fun. TFS your amazing cards and demonstrating such creativity with so many of the new release items. I especially love the your ‘thanks’ card… the simple flowers make great trees (who would have thot?!) and it’s just such a fun, bold, lovely fall card. I love the You’re out of this world card! I am certainly inspired! Your Out of this World card is exactly that: outta this world cool!! Wow you have been busy! I can’t choose a fav card! So many design techniques, what a feast for the eyes! Thank you! All of your cards are stunning. I love the bright bold fall colours you used for the Simple flowers, they really pop off the card, especially with the dark background, looks incredible! Your planets card is so vibrant and beautiful, I love the intense colour you created for the galaxy. Beautiful cards! 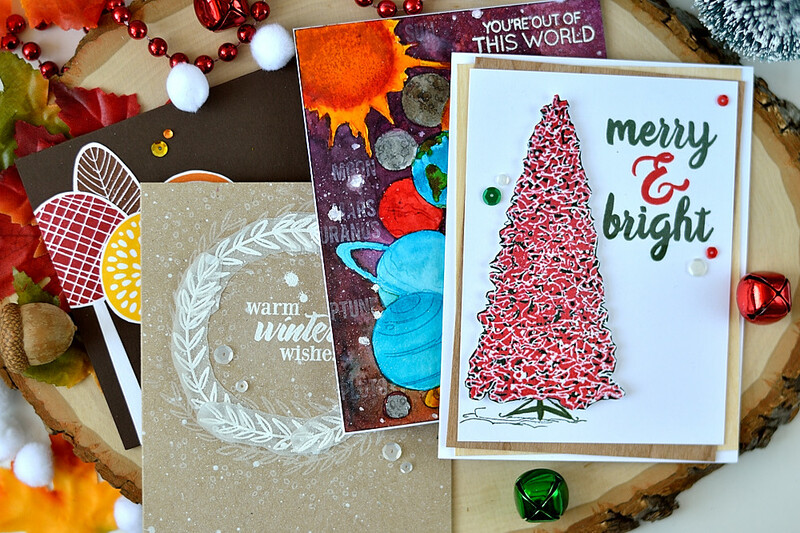 Love how you used the flower stamps as trees and that planets card is gorgeous! Such a unique variety of cards. All so different. Liked them all! The planets card is so striking! I also like the Christmas tree. Great job on all your cards! Great cards. Just love the Space Travel Set. The planet card is Great! So many different thinks to do with that set. I really like your projects! The card with planets was my favorite, but I also liked the fall card made with simple flowers. What a great use of color and design! Gorgeous comes to mind for a one-word description! I loved your You’re Out of This World Card most! I am drawn in by the colors, so vibrant, and beautiful! I love all these awesome cards, especially the clever use of Simple Flowers by turning them into trees! Wow! These are all so amazing!!! Such beautiful cards, I especially love the Space Travel card! Wow! Stunning cards! 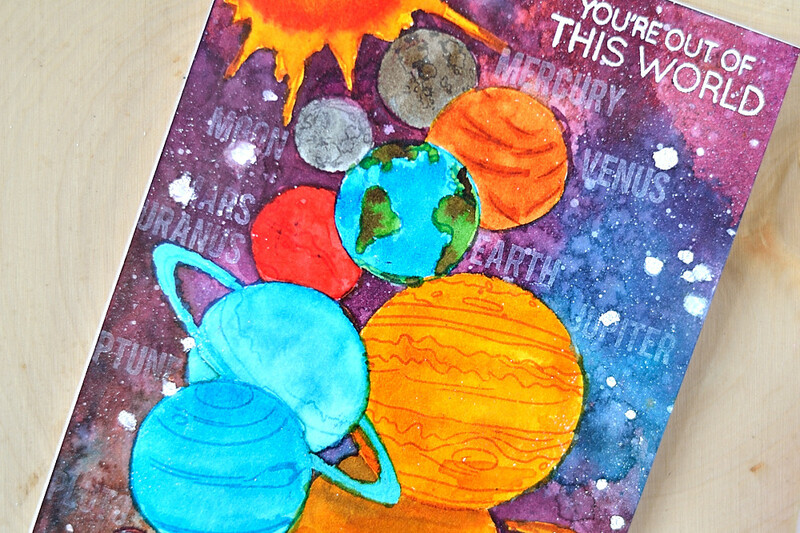 Love the warm tones in the thank you card and the vibrant colours in the planets card. That planet card IS out of this world. Spectacular! 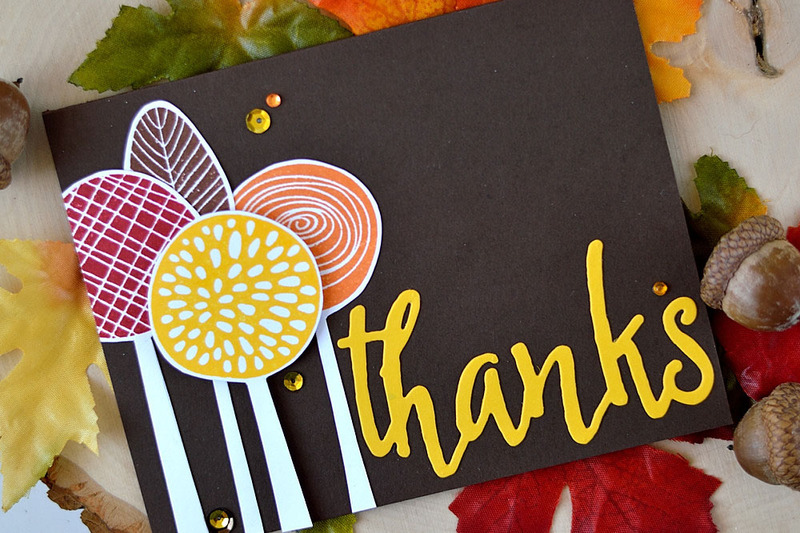 Also love the fall colors in the “thanks” card. WOW, WOW, WOW ! Svitlana your cards are absolutely stunning ! All very different but so gorgeous ! Your designs are wonderful, I love all of them ! And what a spectacular work on the planet card ! I’m also curious to see your video for the last card and how you removed all the embossing ! Thanks for sharing. Stunning cards and fantastic stamps from Altenew. Just love all that you have done. These are all fabulous but I’m in complete awe at your outer space card. It is over the top amazing!! Amazing card! Specially love the one with planets and the one with a wreath. Great cards! I love that Simple Flowers set! Love, Love, Love the planet set. Your cards are all beautiful! Nice cards. The red tree nice touch. and colorful and so much movement. I’d love to see a video of you making the card with the Space Travel stamp set. Stunning! Christmas is coming and I want the stamps, just love the Christmas tree – this is truly a new take on the traditional tree. 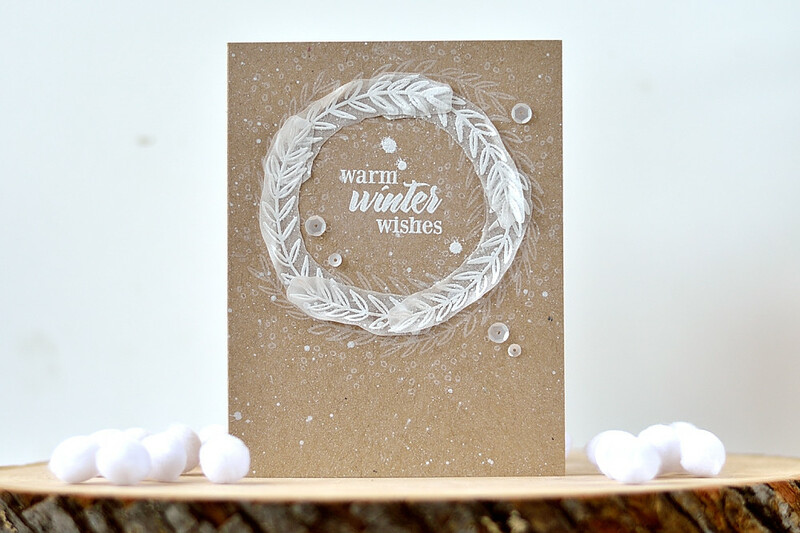 Great cards – love the technique on the wreath card! Your use of the bright colors is amazing. Love your cards. i love the planets card. beautiful work! I’m loving all of the new sets. They have something for everyone, no matter creative level. What amazing cards!! Very creative! The dark backgrounds and bases for some of tgese cards really maje a statement. Bold & Beautifil color patterns! Thanks for the inspiration! Beautiful creations!The colors of “you are out of this world” are awesome! Not sure I would have even thought to buy the set you used for your trees. I will now love them! Your space card is out of this world! AMAZING! Oh my gosh ~ I will definitely pin these fabulous cards, Svitlana! Beautiful work!! Beautiful cards!! Love the solar system card!! Lovely!! Thanks for giving us so many samples of the new release. My favorite is the Christmas tree. Thanks. Cool cards, love the planets!!!! You rocked the funky flowers into fall trees and the two colored tree stamp !!! Wow, what a collection of cards! What a great twist with my fav, the Simple Floral set by using a dark background. But my favorite is definitely the Space travel card — such fantastic colors! Such an amazing set of cards from this release!!! All the cards are really beautiful! Though I love the Simple Flowers set the most and the coloring on the card made with the Space travel set make it absolutely spectacular! Great cards, Svitlana! I love the simplicity of the first two. Peanut Fudge is a great name for that beautiful dark cardstock! Thanks so much for sharing with us and for participating in this great hop and giveaway. The vellum wreath looks like feathers! These cards are all so pretty. Great cards with so many different techniques. Such gorgeous cards! Each one is so different! 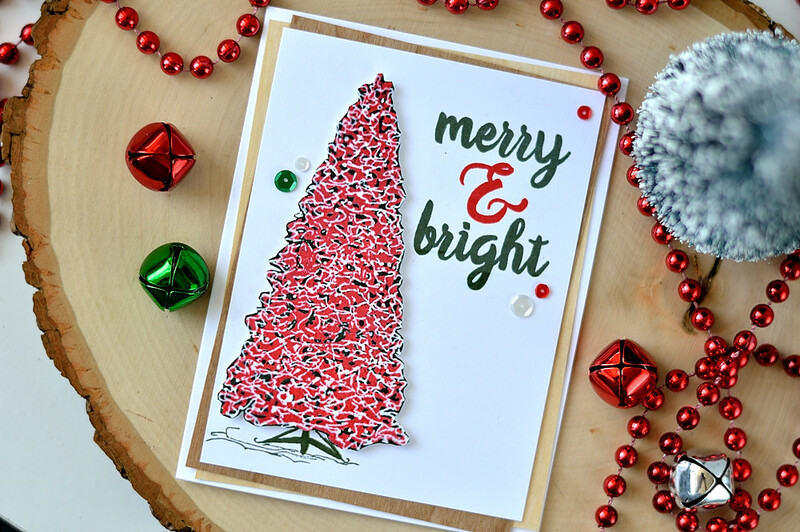 I love the trees from flower stamp card and the red christmas tree. Wow – your cards are amazing!! I love how you turned the flowers into trees, and the solar system card is my favorite!! I love the white on Kraft look! Love the simple flower thank you! You are fantastic!! !